Plants grown with an Aeroponics system grow faster, yield more, and are heartier than soil-grown plants. 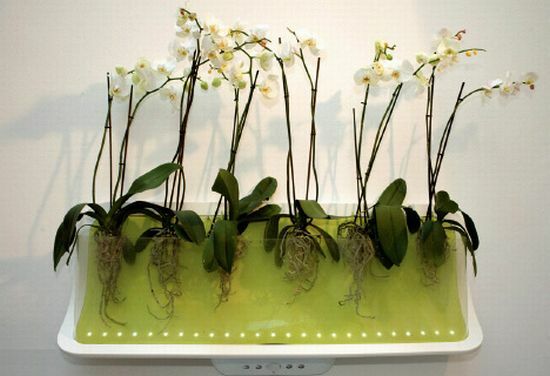 The system is suitable for any plant type and requires little space, making it ideal for growing plants indoors, in an apartment or Urban environment. 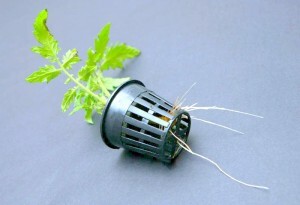 No growing medium is used with an aeroponic growing system. Instead, the roots of the plants are suspended in a light-tight box, which is sprayed at regular intervals with a nutrient-rich solution. 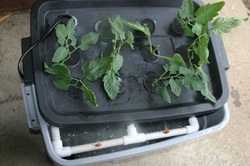 Home-made do-it-your-self Aeroponic systems are gaining popularity among the self sufficiency community. They are reasonably cheap to construct and maintain, and provide a reliable product all year round. These systems vary in size and structure but the basic method of construction remains the same. The system can be built as modules to compensate for an expanding enterprise, and issues of supply and demand, should the grower decide to move into the commercial market. You can create an aeroponic growing system using whatever materials you like and whatever size you want. The most popular system uses plastic storage bins and PVC pipes, the size and length are determined by the grower”s needs. The pump pushes nutrient solution through that sprays the inside of the container with a fine mist of nutrient solution. There is no growing medium in this method. 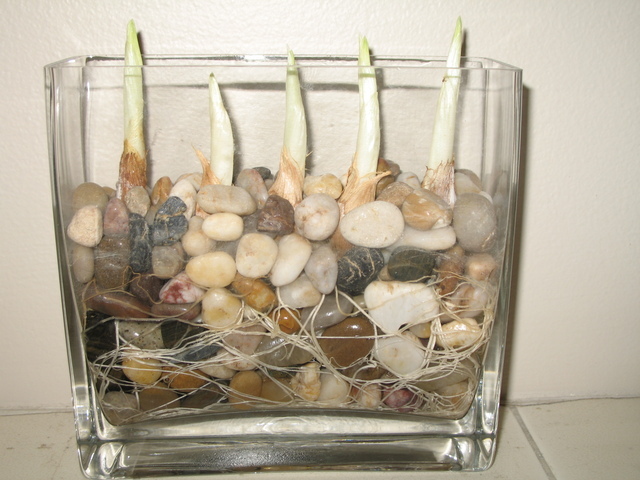 The plant roots hang down into the container and grow mostly in air. The pump used is a high-pressure pump, and the spray emitters are made especially to deliver a very fine, highly oxygenated spray. Ph changes and nutrient imbalances occur more quickly because of the increased absorption rates and high levels of oxygenation. With no grow media to protect the roots, the negative effects on the plant is more immediate, but offers faster growth rates. Fill your reservoir with clean water at room temperature. Adding a nutrient supplement such as B1 helps reduce stress and promote quicker and stronger root development. Keep temperature as close to 72 degrees. 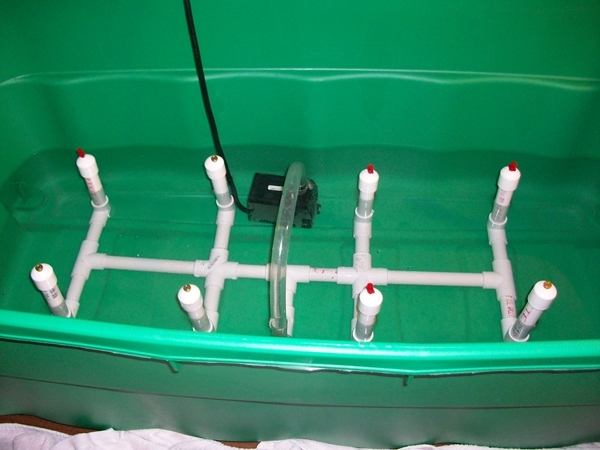 Any large, cheap, plastic container can be used for the nutrient reservoir. A home made system would require a 75 ltr container capacity. 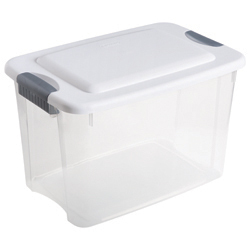 A dark container will help keep light out and prevent algae growth like fungus gnats. Flip it upside down. About two-thirds up from the bottom, measure and drill a hole in each side of the storage bin. Drill the hole a few millimeters smaller than the diameter of the PVC pipe that will fit through it. the pipe will need to sit level in the container. Leave 2-3 inches on the overall length of PVC pipe, as you’ll need this later. The pipe should be long enough to fit through the storage bin, with some extending out each side. Cut the pipe in half and attach an end cap to each piece. Add 3-4 sprayer holes within each section of pipe. (These should be about 1/8″ for a ¾” pipe.) Carefully fit taps into each sprayer hole, and clean out any debris as you go. When constructing any homemade aeroponics or hydro system you should always use PVC and not CPVC. CPVC can leach harmful chemicals into the nutrient bath. To prevent this it is essential to use PVC cleaner on all the parts and the inside of the container before you apply PVC glue and join the parts. In force flowering the gardener chooses a few branches that have begun to bud and are pruned to the desired length, generally 2-3 feet. A slit is made in the end of the branch at least 3 to 4 inches long with a sharp knife and any excess branches are removed evenly so that the bush is balanced. The branches are put in a unit and trimmed about an inch off the base of the stems. These are submersed under water. From this point on, the branches shouldn’t be exposed to air. The temperature of the reservoir is regulated between 60 and 70 degrees F. And fresh water added every few days. When the buds begin to color move the container to a sunny spot indicating they’re beginning to bloom. The buds should bloom in a week to two months, depending on the type of bush. Lightly mist the branches daily and continue adding fresh water weekly. Trim the stems by an inch each time. Another way to ‘force flower’ plants is to control the light.. changing from an 18 on 6 off cycle to a 12 on 12 0ff cycle will make many plants flower. Caught your blog through Google alerts. I too am a DIY aeroponics guy. After doing A/B tests I can say that the aeroponics by far increases growth rate by 200 percent compared to soil. I have lettuce , tomatoes and peppers going all stated from seed using my clone bucket and then put into the main grow system. So how do you get the plants to force flower? What type of pump and nozzles did you use for your system? Did you have to do any maintenance on the nozzles? Did you use solenoid valves? And can you clarify the PVC cleaning. Is that only if you buy CPVC pipes? Pvc cleaner on ends of pipe before applying glue. Standard procedure for connecting water pipes. Are there consultants in South Africa who can assist me?